A website without a great conversion rate is useless. Higher conversions equal more sales. If you want to beat your competition, your mission should be to increase website conversions. In order to have awesome conversion rates, you first need to market your website. This article will discuss valuable ways to market your website in a way that will get you to higher website conversions. Here are a few ways to market your website successfully! People want to buy from those they trust. One of the most effective ways to increase website conversion rate is by building credibility. Hire a professional to design a website for you. Design matters. If your website looks like an amateur designed it, people won’t take your business seriously. Show your phone number on each web page in the header area. Don’t hide your phone number. Show your physical address in the footer area of each page. Display links to your social media accounts. Correct all spelling errors. Have your website proofread, to eliminate any grammatical errors. Design a powerful “About” page. Show photos of your staff and business. Share the story about your business. If at all possible, use your own photos. Avoid stock photos. If you sell a product, clearly explain your return policy. If you are a B2B business, show the logos of your customers. Display trust marks about SSL certificate or encryption. Definitely one of the best ways to higher website conversions is, from your own email list. Why would you want an email list? It’s simple; email marketing is still one of the highest converting marketing in the world. Don’t confuse email marketing with spam. Email marketing is about emailing people who subscribed to your email list. I am not talking about buying email lists. 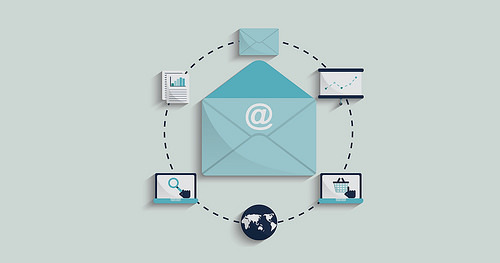 The best way to do email marketing is through giving valuable information. Resist the temptation to try to sell with every email you send out. The majority of your emails should be about providing valuable information. Before you send out an email ask yourself: “What information would be super valuable to your readers”? The biggest problem with websites is that they do a poor job getting people to subscribe to their email list. Instead of just asking people to join your email list, give them something in return. You’re asking for their email, which is basically asking for a part of their privacy. So it needs to be worth their while. What can you do to convince people to sign up for your email list? One way is to set up a giveaway. This could be anything ranging from video content, e-books, exclusive access to your website, etc. When you offer something of great value people will more likely subscribe to your email list. What do you do once you have a decent amount of people on your email list? You must be strategic about how you communicate with them. For best results, you must plan and strategize. You need a content strategy. In the same way, as you need a strategy to be successful in business. Every time you send out an email you must create value for the recipient. Email marketing is not about selling every time you click the send button. Keeping subscribers is just as important as getting them. One of the best ways of using your email list is by notifying people of new content. Regularly update your subscribers about any content you feel they may find value in. Remind people why they signed up, and who you are. A lot of times we sign up for a newsletter and slowly forget why, and that leads us to unsubscribe. How can you convert subscribers into customers? Firstly, keep your content short and to the point. Make sure the recipient knows how they can benefit. Focus on the primary action you want them to take. Use action words like ‘’Download Now’’ or ‘’Get Started Today’’. This will create urgency. Do all this regularly. At least send one email per month. The longer pauses you take between emails the quicker they’ll forget about you. Offer them exclusive content or discounts. Always deliver value, to build trust. Learn about your audience, and get to know what time of day they’re most likely to check emails. As your email list grows, you need to maintain it. It would be a real shame for all your hard work to go to waste, and lose your subscribers’ interest. Keep growing your email list, and continue to deliver value. Videos are known to increase website conversion rates. Did you know that Youtube gets over five billion daily views? It is the world’s 3rd most visited website. 80% of people prefer to watch a website video, compared to 20% reading the same exact content. People are 64% more inclined to buy something online after watching a video. Those are powerful statistics that show that customers love video content! Just by adding videos to your web pages, you could increase conversion rates. Remember to keep the videos short, around ninety seconds. People are impatient and some have short attention spans, so they want to get straight to the point. Only cover one topic, and make sure your message is clear. If you don’t feel comfortable going on camera or you lack the right equipment, then simply outsource it. You can hire someone with a professional presence that can produce high-quality top notch videos. Your customers are on facebook. It makes sense to advertise your website there. Social media is one of the best and most popular ways of marketing almost anything. However, the reason Facebook stands out is not just because of its popularity. It is because it allows you to target specific people. Your ads take into account personal interests, age, location, etc. In essence, you can direct your ads to exactly the right person. Facebook is an amazing place to do niche marketing. It enables you to look at fan pages and see how many likes (followers) it has. This will help you determine the ideal target for your product or service. Facebook advertising is simple to setup and very cost effective. Once your ad has reached the right person, they will then proceed to go to your website, and you can let it do all the talking. You can use effective copy to market your website. It’s also especially helpful with improving website conversion rates. Copywriting techniques should be used for your website, video, blog articles, and emails. Think specifically about your target customer, and write in a way like you’re speaking directly to that person. The right tone will help you connect with your target market. Keep the website copy conversational and free of jargon. Instead of using the ‘’we’’ you should use the word ‘’you’’. For example, ‘’Are you looking for an affordable web designer?’’ The website copy should present the problem to the visitor, then you can tell how your service will help them solve the problem. Follow up with features and benefits. Presenting social proof is also important. Copywriting helps your website convert viewers into leads, and then those leads into customers. Every website must be marketed. At the same time, you have to increase website conversions. The two go hand-in-hand. The above are just a few strategies of website marketing. Each of them can be tweaked to help you improve website conversions. Hopefully, this article has shown you several ways to improve website conversions. Best of luck marketing your website!